The news that Match Game is being brought back, this time on ABC with host Alec Baldwin, is very exciting. Match Game is the best game show. It’s the perfect blend of being a show you can play along with, while also being entertaining to watch. Of course, execution is also important, which is why the ‘70s version is so wonderful, and the ‘90s version is… best forgotten. Hopefully this new version will be more like the classic one. That comes down to the most important part of the Match Game setup, and what is the calling card of the show. That would be, of course, the celebrity panelists. You need six (and let us hope it is six) people who can play a game well, but also be funny and entertaining. The ‘70s version was loaded with talent, as this top 10 list can attest to. So, naturally, if one has any interest in this Match Game reboot, one is probably thinking of potential panelists they would like to see. This article is no different. Here is an ideal six-person panel for this reboot, based upon the roles set up by the classic ‘70s version of the show. In addition to that, choices were limited to plausible panelists. You can get some notable names on a game show panel, but any name that is too big feels a little pointless to include. Sure, it’d be great if, say, Stephen Colbert or Will Ferrell was on a Match Game panel, but that’s just not going to happen. OK, enough preamble. Here’s a perfect Match Game panel for this modern era. The top left panel is for, to put it bluntly, some random guy. The Match Game panel was gender balanced, and with two of the male panelists locked in for most of the show’s run, that left one spot to go to a different gentleman each week. There wasn’t any real rhyme or reason to whom would appear in the first chair. You’d get actors, comedians, and Hall of Fame pitcher Don Sutton (who was surprisingly good). Basically, if it’s a guy, he can go here. Given this breadth of choice, the selection here is Paul F. Tompkins. He’s perfect for an environment such as this, as proven by his regular appearances at the UCB Theatre’s version of Match Game. He’s very quick-witted, sharp and hilarious, and anybody who has ever listened to his off-the-cuff podcast ramblings knows that he can turn that on on the spot. Plus his dapper attire would certainly make him stick out on a panel. While, traditionally, the top left panelist rotated week-to-week, hopefully Tompkins would be a regular part of any rotation. This was Brett Somers seat, which means there are big shoes (or, big glasses, as it were) to fill. Brett was sort of the chairwoman of the panel, in a sense. She was almost always there, and she talked as much as anybody. Brett would dismiss answers, or questions, she didn’t like, and was generally a firebrand. Oh, and she was funny to boot. So what woman can capture the brassy, outspoken style of Brett Somers? Why, Jen Kirkman, of course. Now, hopefully Kirkman doesn’t blanch at being thought of as the new Brett Somers. Brett was, you know, a woman of a certain age, as it were, but beyond that, Kirkman seems like she would be a natural fit on a Match Game panel. Also, much like Brett Somers, Kirkman likes to be fashionable and stylish, and, as a good friend of Paul F. Tompkins, she fits into this particular panel perfectly. Charles Nelson Reilly. He was great, but, in this modern era, would we really have another “Charles Nelson Reilly”? The wink, wink, nudge, nudge comedy about Reilly’s sexuality is a bit of a relic of a different time, and, also, we aren’t defining this role as simply the “gay panelist.” However, Reilly was a particular kind of campy comedic persona that is, oftentimes, associated with gay performers. He was also a total delight, and it is a kind of energy that would be really good to keep on the show. 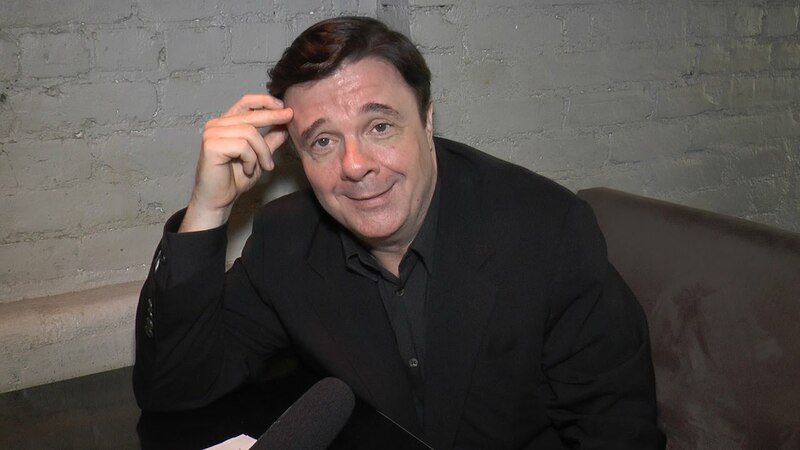 The first name that comes to mind is Nathan Lane. Much like Reilly, and let us not forget that Reilly has a Tony, Lane is a Broadway actor, and if you have ever seen him on a talk show, you will recognize how easily he could fill Reilly’s role on the new Match Game. He has a dry wit and has a penchant for sarcastic quips, and would probably be very funny in this context. The bottom left is sort of like the female equivalent of the top left. However, it’s not quite just “a woman.” If they had a very funny, oddball woman, they would put her in the anchor seat, bottom right. The bottom left was more for actresses, often generally attractive actresses, who maybe weren’t so strong at the game. It was usually a landing spot for charming women who just got by on that. Now, they weren’t all bad at the game, but if you were going to find somebody who wasn’t a particularly strong player, you’d find them in this seat. Of course, in this ideal version of the show, we are aim to find some good players. 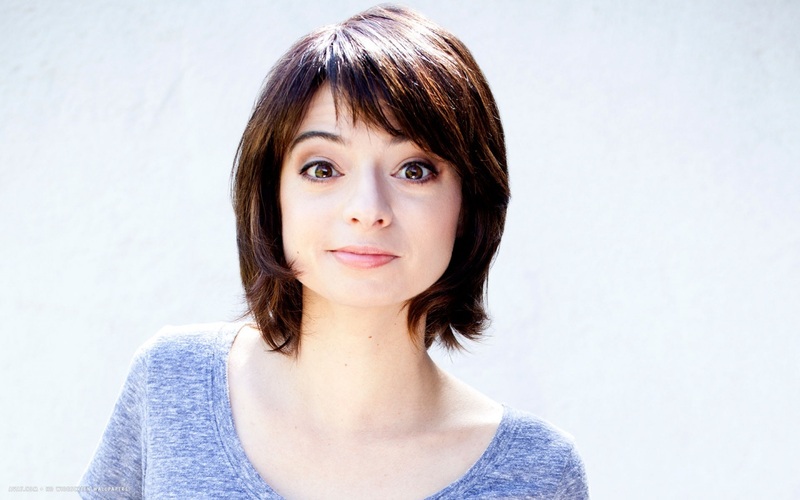 If you want an actress with charm for miles, you can’t do much better than Kate Micucci. She works primarily in the realm of comedy, and alongside Riki Lindholme is the musical comedy duo Garfunkel & Oates. Whatever you think about Garfunkel & Oates, you’ll probably agree that Micucci is amusing during her frequent podcast or talk show appearances. Her main strength is a somewhat cutesy charm, which would work well on a Match Game panel. Based on the episodes of Doug Loves Movies she’s done, she’d bring an energy that people would likely enjoy. Basically, if she did give a bad answer, she could get away with it. OK, this is where things get serious. This is Richard Dawson’s seat, and that means we need somebody who is great at the game. Somebody who is going to take this seriously. Somebody who isn’t screwing around. Because, at some point, it’s time for contestants to play for cash, and they need somebody they can rely on. Also, a quick side note that feels appropriate at this time, they better not bring back the Star Wheel for the Head-to-Head Match. The contestant needs to be able to pick who they want. Back in the day, they all picked Dawson, and this needs to be somebody everybody can pick as well. If they can be funny, as Dawson was, so much the better. If you are positing people to fill the role of Richard Dawson in Match Game, and you don’t suggest the name Rich Sommer, Sommer would probably (rightfully) be annoyed. He feels like the kind of person who would be upset to not be mentioned in this conversation. This is why he is perfect for the role. Sommer, of Mad Men fame, is an affable presence, but, more importantly, he is super enthusiastic about games, and takes them seriously. If you have heard him on Doug Loves Movies, or on his own boardgame podcast Cardboard, you know that he loves playing games, and he wants to do well. 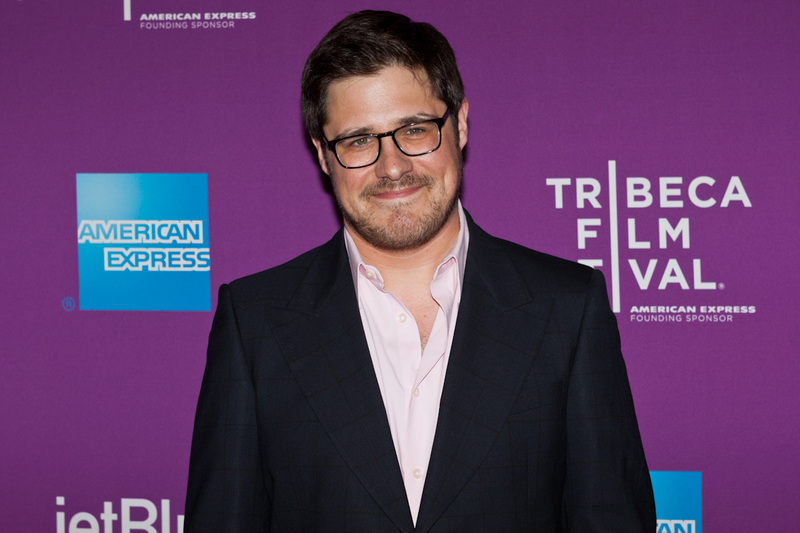 Rich Sommer would love to be the guy everybody picked for Head-to-Head, and he would be up to the task. He’s the guy you want there when there’s money on the line. This is, with all due respect, the real money seat, and the one that is the most interesting to try and figure out names for. 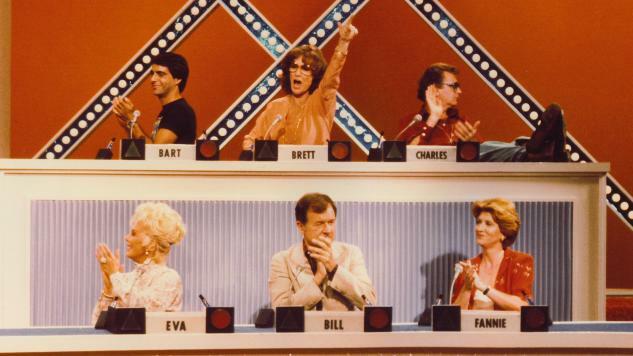 The bottom right, the anchor chair, the one that gives the final answer, was the home of the likes of Betty White, Fannie Flagg, and the true queen of Match Game (sorry Brett fans), Patti Deutsch. You need a really funny woman, but usually it was also a specific kind of woman. This is the “weirdo” seat. It works to have oddball energy here, somebody who can come up with interesting, weird and delightful answers. Being funny is the number one goal. 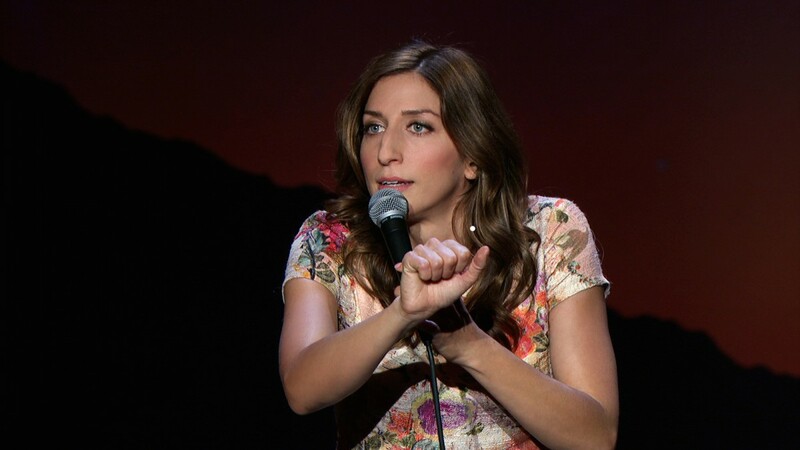 There is a litany of funny women out there, but when it comes to finding a particularly funny woman who fills the role of the resident “weirdo” on the panel, Chelsea Peretti immediately springs to mind. If you want oddball energy, you’re going to get it from Peretti. However, she could also probably be herself, and be funny, while not completely overtaking the show. It could still function as a game show, and she could still function as a game show panelist, while still being funny in her specific way. Chris Morgan is not the author of THE book on Mystery Science Theater 3000, but he is the author of A book on Mystery Science Theater 3000. He’s also on Twitter.